I’m a new mom to a baby girl named Luna. Originally, I was going to start this blog at the end of my pregnancy (rewind to my first entry is below). But, I was ummmm… too busy doing the opposite of nesting, which is odd because I am such a cozy freak. Let me explain. 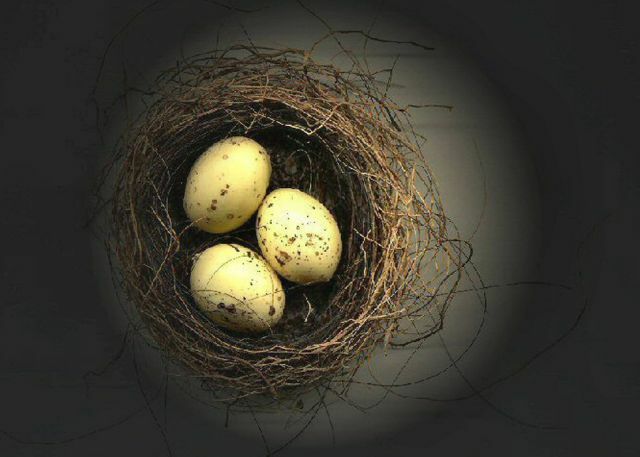 September 2011— Research says women nest toward the end of their pregnancy. Not me. Maybe it’s because it’s hot as hell in my house, or because I suffer from FOMO. I’m driven by how many things I can check off my list to make me feel like a cool chick, belly and all. These days not being at home sounds more appealing than organizing closets and scrubbing floors. I know that once this baby comes, there will be almost zero opportunities to go to hear a band, indulge in an underground dinner party at a loft downtown, or meet peeps for a glass of vino on a whim. I almost feel like I have to store up NOW on cultural fat for the baby hibernation that is to come. Me + fun go together, afterall! The one nesty thing I have gotten into is decorating her room. Making her room cozy is a no-brainer. Duh. I have all these crazy ideas, most of which come to me in a half-sleep daze at 4am between a desperate pee and a dream (nightmare, really) about having a boy instead of a girl. Don’t get me wrong – I look forward to life with baby… but I compare it to going on a trip. I can pump myself up for it, but there’s nothing like being on the tarmac to really believe it’s happening. Same with this baby girl – once I see her all I’ll want to do is snuggle. I don’t think I’m going to care about getting reservations at the newest restaurant or going to nerdy q&a film screenings. I wonder, will those urges truly go away or will the same girl wanna come out and play? I used to worry about “losing” myself, but I’m excited about becoming a new version of me. I understand that life will change – on what level I don’t know – but I’m open and waiting and curious. My version of nesting might just happen post baby. 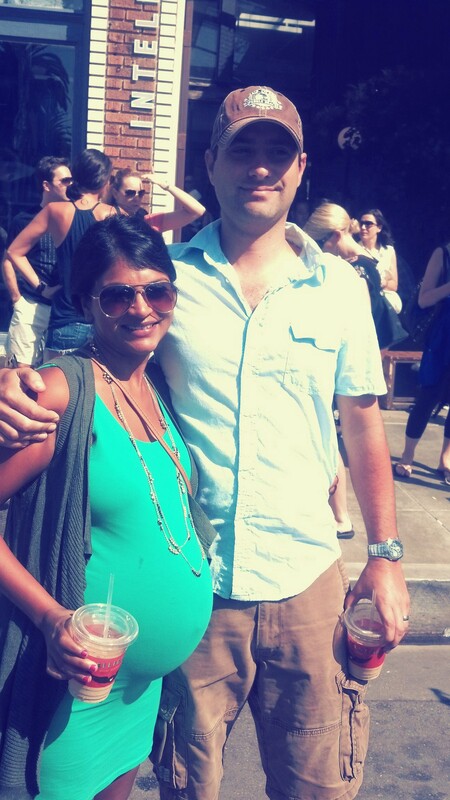 Me and my husband on my due date…Didn’t want to miss a local street festival even though I was ready to pop. If only that iced coffee was a cold beer.